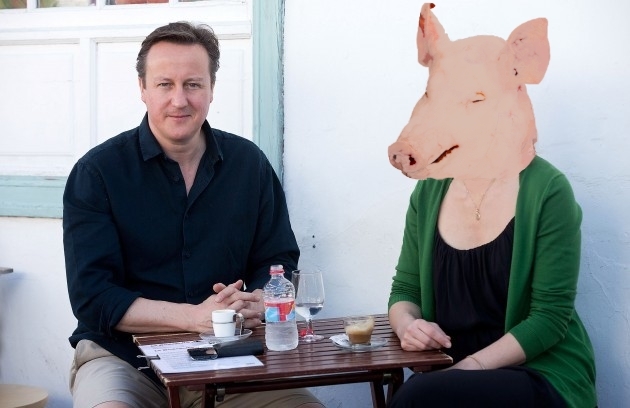 ‘Piggate’ emerged in September 2015, with the then Prime Minister David Cameron putting out a impassioned rebuttal, feverishly denying that, back in his student days, he’d ever placed his ‘private parts’ inside a pig’s mouth as part of an Oxford University initiation ceremony. But this week, we at VakeNews have learned another side to the story from the other key participant in the whole affair. Wanting to protect Mr. Cameron and his family, she remained silent for all those years, privately dealing with the deep shame and guilt of being thrown into the public spotlight when the story first came to the surface. However, with Mr. Cameron no longer in high-profile public office, she now believes it is her duty to tell the truth about the man behind the Brexit disaster. Mr. Cameron was unavailable to comment on these allegations. ← Trump to build wall on light side of the Moon!